Stop buying instant pudding mix! 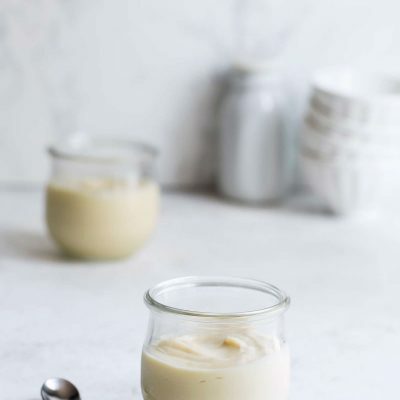 This easy, decadent vanilla pudding recipe comes together quickly with only a handful of basic ingredients and a few minutes of stirring. You’ll be amazed. 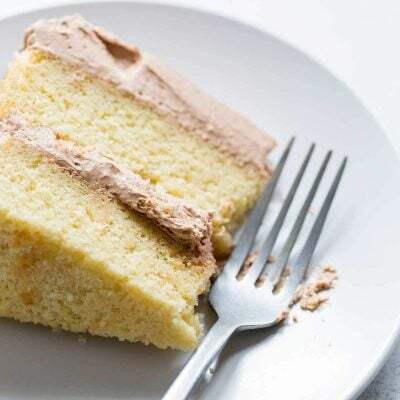 It’s rich, creamy and perfect for dessert lovers of all ages. 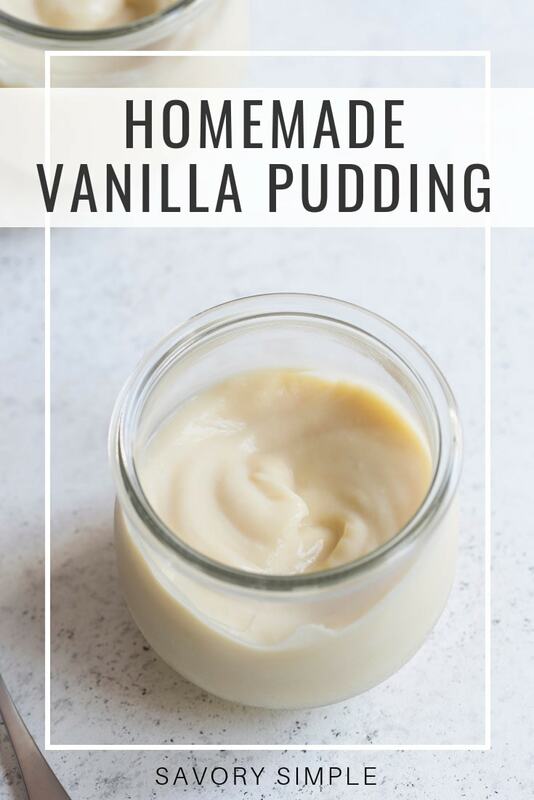 When I initially began my quest to become a better home cook, homemade vanilla pudding was one of the first recipes I tried. I was amazed at how much better it was in terms of both taste and consistency when compared with store brands. 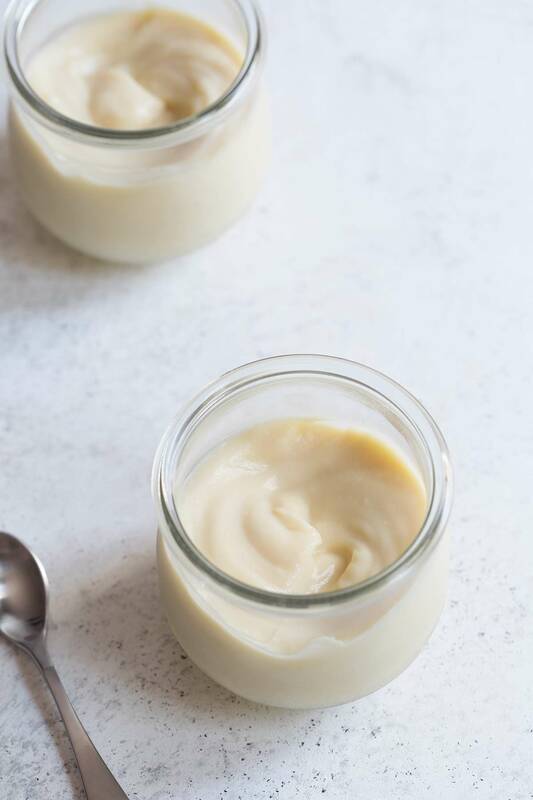 Vanilla pudding is like a non-citrus version of one of my all-time favorite desserts, lemon curd. The wonderful thing about homemade pudding is that you have control over the intensity of the richness, sweetness, and flavor. It always takes a bit more time and effort to make anything from scratch, but I think you’ll be pleasantly surprised at how quick this comes together. 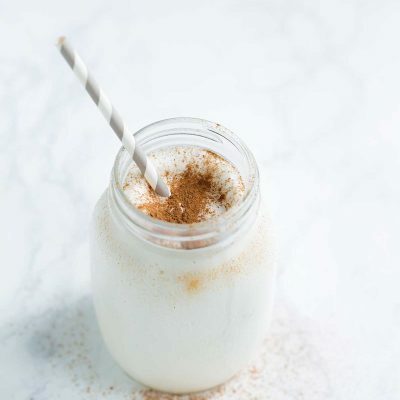 Dairy: depending on how rich you want your pudding, this can be all whole milk, or a blend of milk and heavy cream. You can also lighten things up by going with a mix of whole milk and 2%, but I wouldn’t go much lighter than that. Fat is what gives pudding it’s signature mouthfeel. Canned coconut milk would be a good non-dairy option if you’re lactose intolerant, though it would obviously change the flavor. Sugar: Granulated white sugar is typically the sweetener used in homemade pudding. 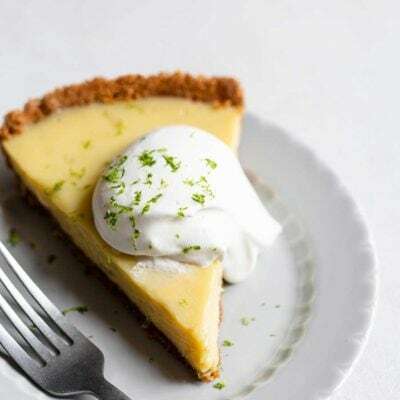 Egg Yolks: As with lemon curd, yolks work here as a thickener, and they also add richness and a creamy texture. Cornstarch: Cornstarch is used as a neutral-flavored thickener. Butter: A very small amount of butter at the end gives pudding a smooth, glossy shine. 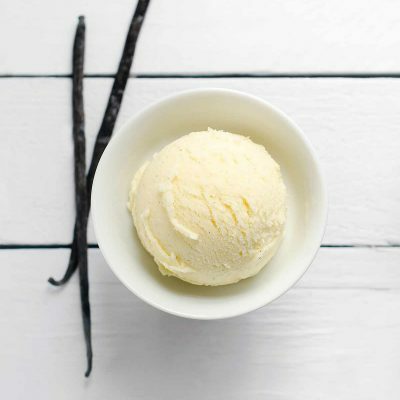 Pure Vanilla Extract: Since vanilla is the star of the show, use a good quality extract for best results. I’m a fan of Nielsen Massey and Rodelle. 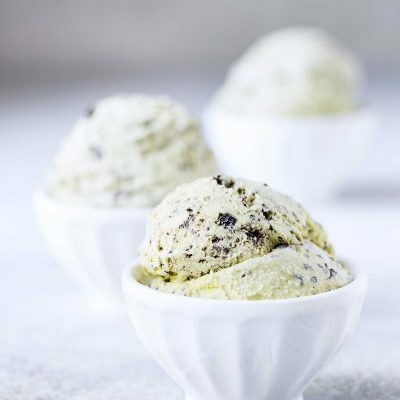 However, prices have gotten a bit insane recently due to a vanilla shortage, so do the best you can. If possible, I highly recommend using pure vanilla extract instead of an imitation version. 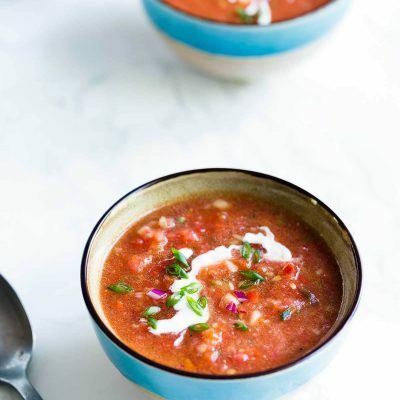 The process is very simple: ingredients are gradually added and whisked together while being heated in a saucepan. Once the pudding is thick, it’s strained through a fine mesh strainer and chilled until cool. That’s it! Can you make vanilla pudding without cornstarch? I haven’t tried this so proceed with caution, but I think arrowroot should work. 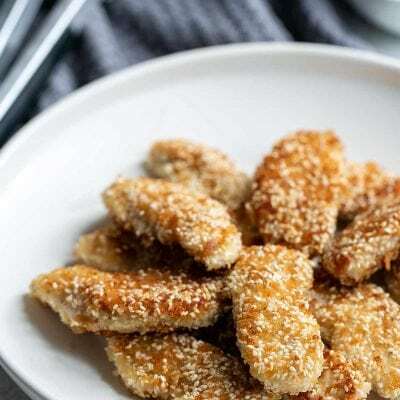 It has similar thickening properties to cornstarch, and I’ve used it successfully with sauces on many occasions. This article from LiveStrong also suggests tapioca powder and rice starch, which I’ve never used as thickeners. 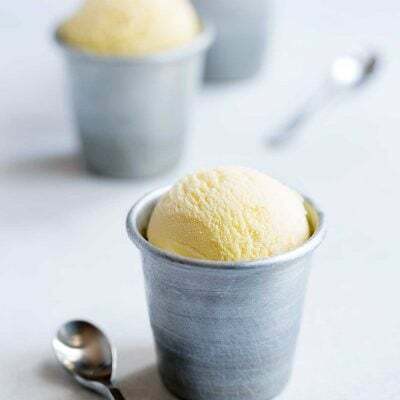 Love this vanilla pudding recipe? You may also enjoy my Milk Panna Cotta with Coffee Syrup and Lemon Sage Curd! I also love this butterscotch pudding from Smitten Kitchen! 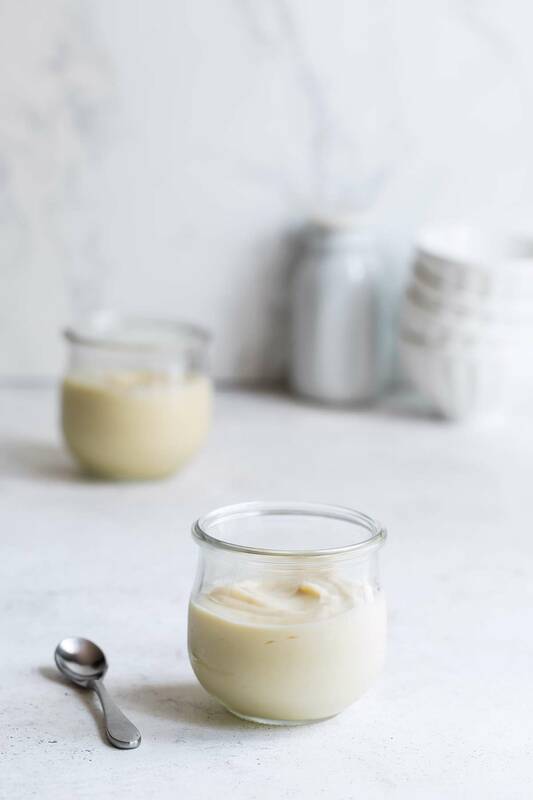 This rich, creamy homemade vanilla pudding recipe comes together in no time with a few kitchen staple ingredients! You'll never buy box mix pudding again! Set aside 1/2 cup milk. Heat the remaining milk, cream, sugar, and salt in large saucepan set over medium heat until simmering, stirring occasionally to help dissolve the sugar. Meanwhile, place the cornstarch in a large bowl and whisk in the reserved milk until smooth. Whisk in the egg yolks until smooth. When the milk mixture reaches a simmer, remove from the heat and slowly pour into the yolk mixture while whisking constantly to prevent the eggs from scrambling (aka tempering). Transfer the liquid back to the saucepan and place over medium heat. Whisk constantly until the pudding thickens (see notes) and a thermometer registers 180 degrees F, about 60-90 seconds. Remove from the heat and whisk in the butter and vanilla until shiny and smooth. Strain the pudding through a fine-mesh strainer set over a clean bowl. Press plastic wrap directly against the surface of the hot pudding to prevent a skin from forming. 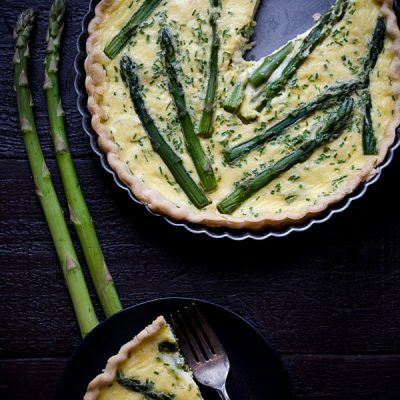 Refrigerate until chilled, 3-4 hours or overnight. Before serving, re-whisk pudding until smooth, then divide into serving bowls. 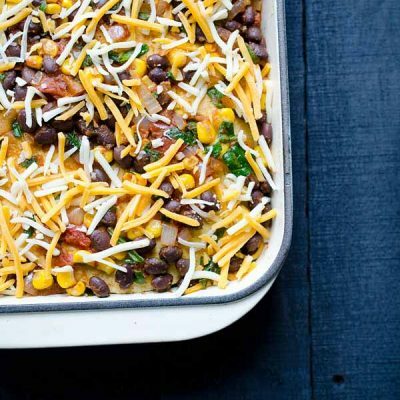 Leftovers can be stored in an airtight container in the refrigerator for 5-7 days. Re-whisk before serving. 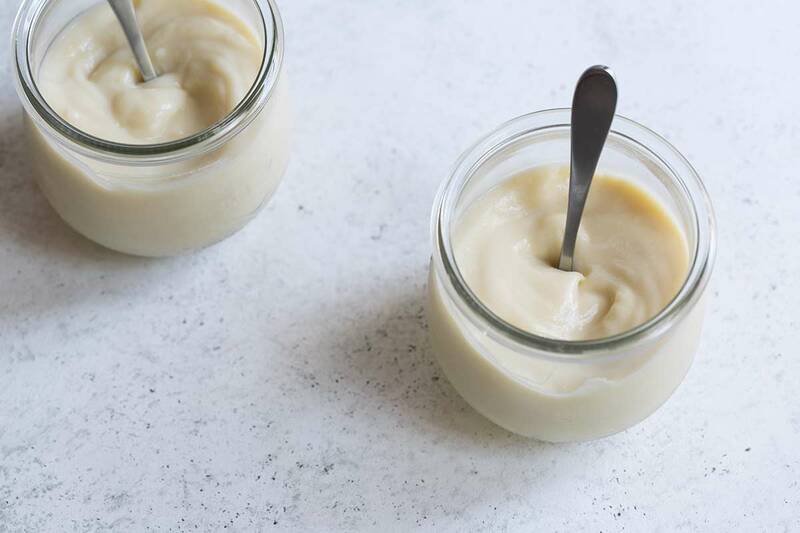 The vanilla pudding will continue to thicken as it chills, but you want it to be close to the desired thickness before removing it from the heat. The longer you whisk over heat, the thicker your pudding will be. This pudding is very nice served on its own. If you want to jazz it up, some nice toppings include whipped cream, chopped vanilla wafers, or fresh fruit. See post for additional topping suggestions. For a less rich pudding, you can use all whole milk, or a combination of whole and 2% milk. 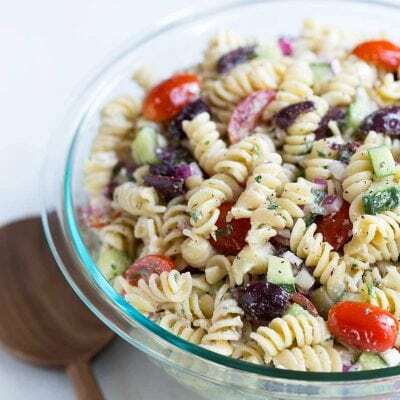 I love simple this recipe is. Thank you! This truly is the perfect snack! It’s the perfect canvas for so many mix ins! This will be happening VERY soon! Since I’m a vanilla kind of girl, this is heaven for me! Such great flavor. 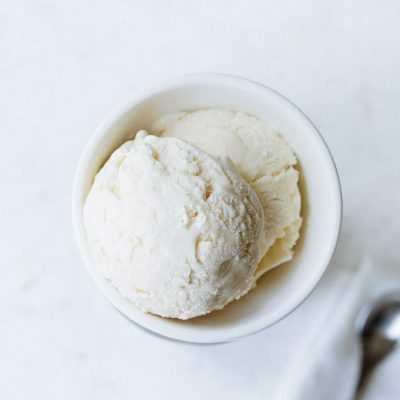 Vanilla, but also the sweet dairy flavor. Yum! 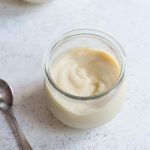 I love homemade vanilla pudding, have to try your version! It took me a few weeks to get around to it, but l just made and shamefully polished at least half of the vanilla pudding off, Ouch! Anyway l do not apologize it was all the puddings fault and l have such a weakness for a good pudding. I’ve made several of your recipes and they really are fantastic. 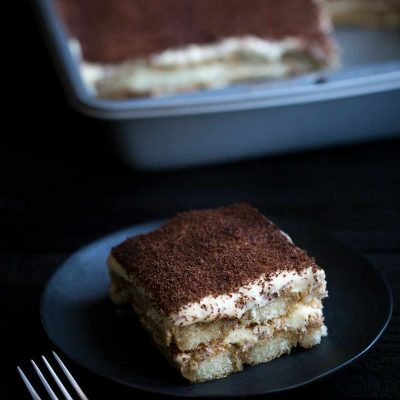 I have quite a few food bloggers l follow but only a very few whose recipes l actually use, and you are definetly in that category. I have one request from you, and that is to come up with an amazing rice pudding recipe. You have a Farro one and a chocolate red wine one, but l am looking for a simple plain but creamy rice pudding. I have yet to make one that blows me away, and trust me when l say l have made many. They all end up dry and a bit chalky. Thanks so much for all the time and effort it must take you to develop recipes and write this blog post. Your chocolate brownie recipe is what l plan to make next, but for sure l’ll not be alone when l serve them up. I never heard of straining pudding. Jennifer, this looks really good! I think I need to make these for myself and the kids. Love this idea!